Woodburn Premium Outlets is the top destination for tax-free outlet shopping. Conveniently located off Interstate 5 between Portland and Salem, this shopping center features over 100 stores including Adidas, Banana Republic, Gap, Nike, The North Face, Polo Ralph Lauren Factory Store, PUMA Outlets, Tommy Hilfiger, Tumi and more all at savings of 25% to 65% every day. Designer name-brands, skylight-covered walkways and beautiful Northwest architecture and landscaping make this a unique and fun shopping experience year round. Whether you're taking a day trip to shop with the family or want to spend the weekend exploring the shopping center and surrounding attractions, you'll love stopping by Woodburn Premium Outlets for a pleasant getaway. Enjoy an assortment of delectable dining options at one of the available restaurants or grab and go stations while shopping for an experience that is truly unlike any other. Either way, you'll love the shopping, dining and attractions readily available in the area. Woodburn Premium Outlets is conveniently located halfway between Portland and Salem and offers access to incredible attractions. If you're planning on taking a day trip to the shopping destination or even staying for a few days, there are plenty of area attractions that are perfect for the entire family. 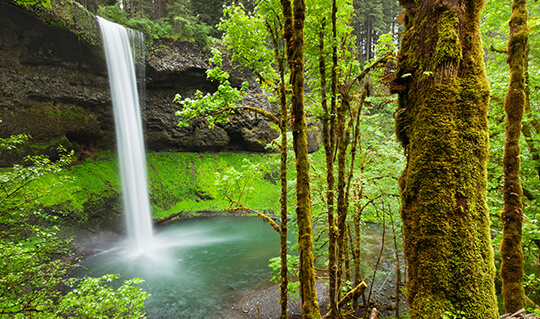 Just 20 miles southeast of Salem lies Silver Falls State Park. Take a hike along the walking trails, or go for a horseback ride through the miles of horse trails. There are even bike trails spanning through the area, showcasing the park's 10 waterfalls. Or, check out the World of Speed Museum to learn all about motorsports. Historic racecars, boats and motorcycles are on display at this educational museum for all ages. After you've shopped until you drop, it's time to satisfy your appetite! At this shopping center, there are plenty of options for on-site casual dining. Try out Fresca's Mexican Grill, Mio Ro, Pan Asian Express and Subway in between shopping for a quick and delicious lunch while you take a break. Or, head next door to Panera Bread for a quick snack, lunch break or even casual dinner. 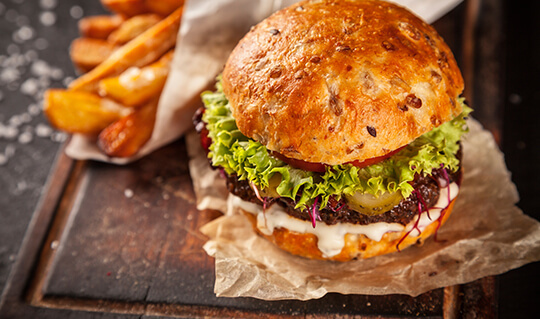 In the mood for a juicy burger and a great time? Red Robin is next door to the shopping center and features gourmet burgers and brews and of course, bottomless steak fries. No matter what your tastebuds are craving, you're sure to find what you need when you visit this premium shopping center as a vacation destination. A weekend getaway isn't complete without a fun night out on the town. Check out some of the Willamette Valley's best nightlife options when visiting Woodburn Premium Outlets and experience a weekend getaway unlike any other. 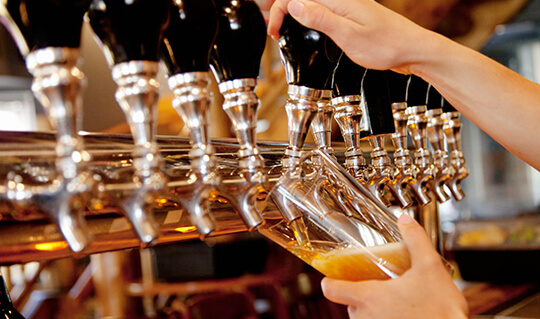 For the perfect date night or girls' getaway, head to the Brews of Oregon in Newberg and Dundee. Home to award-winning wineries and breweries, you're sure to love the unique spirits offered in the area. If comedy clubs are more your style, head to Portland. Just 25 miles north of the shopping center, Portland is home to Curious Comedy Theatre, Harvey's Comedy Club and Helium Comedy Club. There are plenty of options for you to choose from after a long day of shopping at when you visit for a vacation or weekend destination. If you're interested in making Woodburn Premium Outlets your next vacation destination, there are a wide variety of accommodation options to choose from for both the business and leisure traveler. 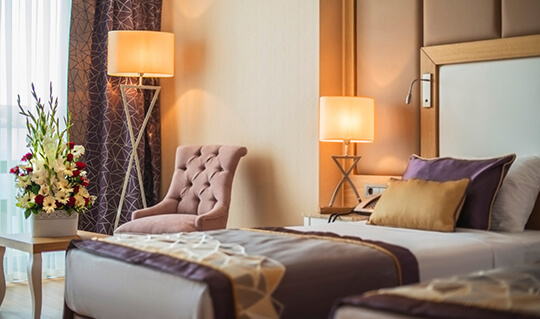 From bed and breakfasts to charming inns, or luxury resorts to economical motels, there are a wide selection of lodging to meet every individual comfort and budget. The local area features well known hotels like Best Western, La Quinta Inn & Suites, Courtyard Marriott, Hilton Garden Inn and more. Or, stay at The Oregon Garden & Resort for a picturesque stay among an 80 acre garden. This luxury resort features a spa, pool and on-site restaurant in a traditional, yet serene, setting.